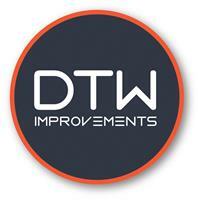 DTW Improvements - Fascia/Soffits/Guttering, Windows/Doors/Conservatories based in Sturminster Marshall, Dorset. Invoice history based on 60 reviews. 20 Years in the industry before setting up my own business in 2014. No gimmicks just honest professional service using quality products. Free quotes where guidance is given to achieve the best outcome at competitive prices without compromise on quality. No job is too small or too big. As well as fitting new installations we specialise in repair work and particularly taking on what are considered to be "difficult installations" which other installers are not keen to take on. Carpentry is another aspect of the business, covering fitting kitchens, door hanging, design and construction of garden studios/ sheds and decking. Please see website www.dtwimprovements.co.uk for further information. Bournemouth, Poole, Wimborne, Godalming, Broadstone, Dorset.